Economic Student Task Chair By Boss [B205] Ships for Free! Turn heads in style and glide through your work day in the modern Boss Black Steno Task Chair. Draped in urban black, you'll be sporting a classic look while easily transitioning in its quick rolling wheels. With one push of a button, adjust to any desired height where you can oversee all the onlookers admiring you. 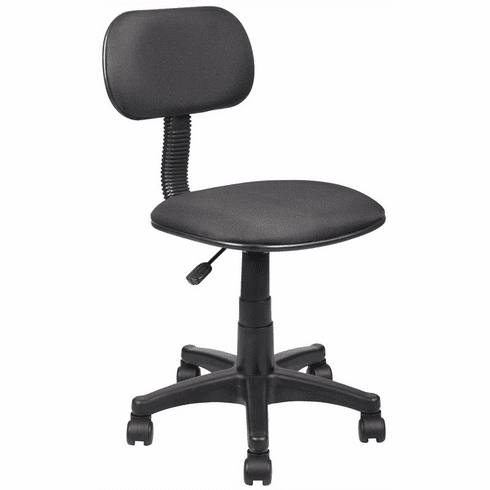 This economical student task chair normally ships within 2-3 business days from our GA or CA warehouse.